Not all iced tea makers are made equal. 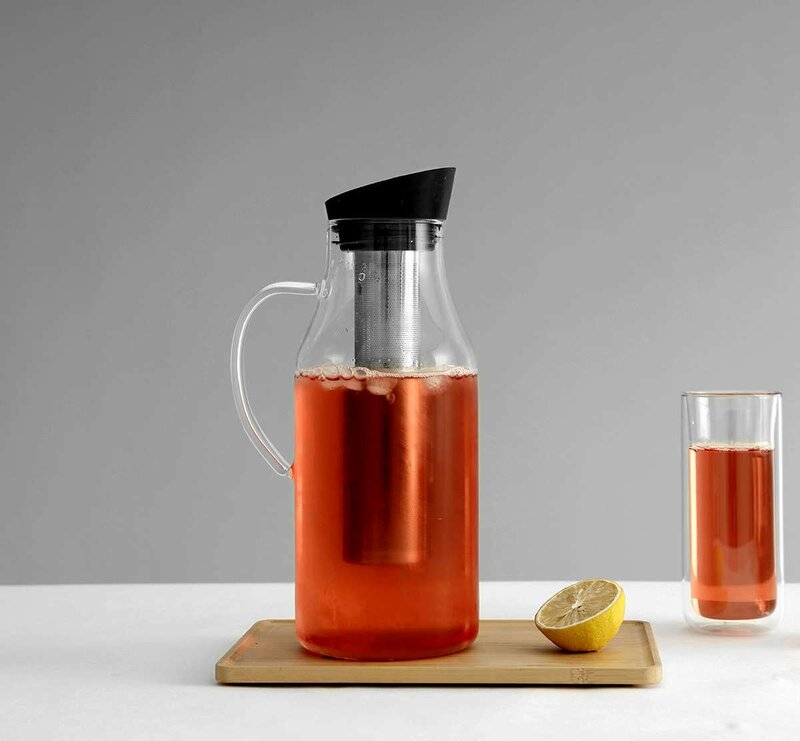 This premium quality jug lets you make and serve iced tea in wonderful scandinavian style. Load up the stainless steel infuser with your favourite fruit, herbs and tea leaves to let the flavours intensify. Size: L: 14.0 cm - W: 10.8 cm - H: 28.0 cm - Vol: 1.80 L / 60.00 fl. oz. 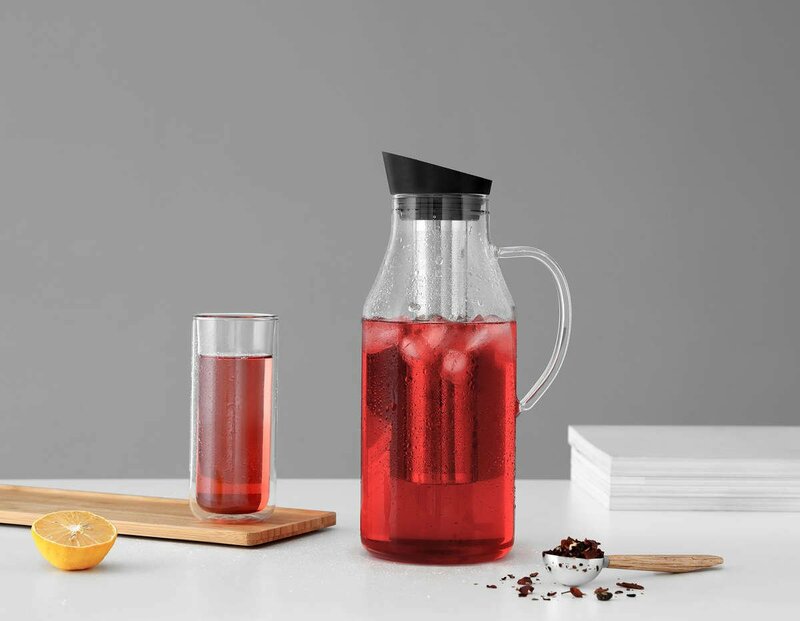 The Infusion Iced Tea Maker features a wide neck and mouth, which make it easy to keep it looking its best. We have used our premium Vitriluma borosilicate glass for this iced tea maker, which is often used for lab equipment as well as high-end kitchenware. You can be sure it won’t mark or discolour easily. It’s 100% dishwasher safe too, so cleaning up couldn’t be any easier. 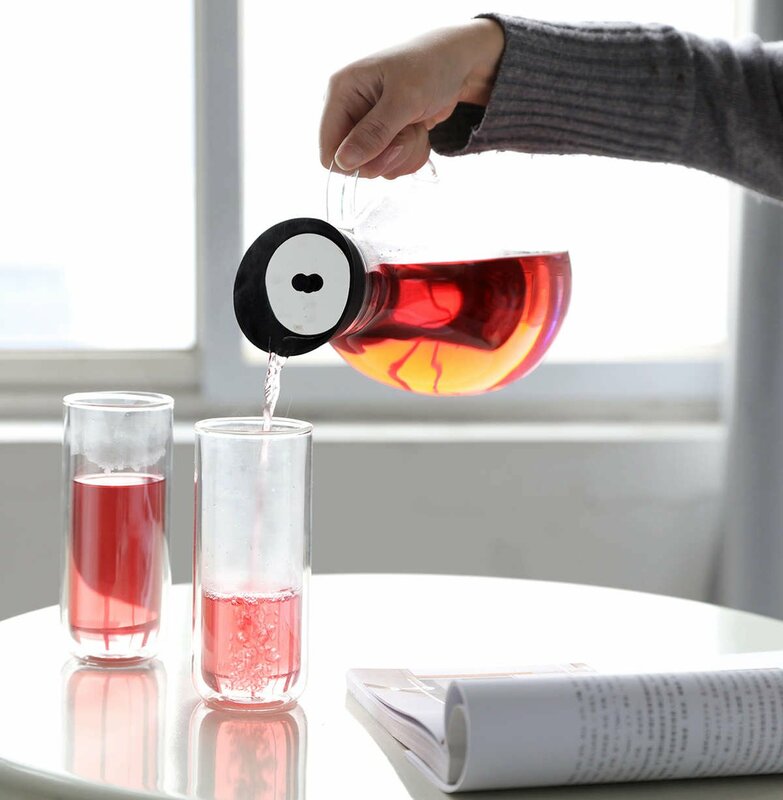 The Infusion Iced Tea Maker will yield around six tall glasses of tea. Plenty for everyone! The widest part of the jug is 10.8cm wide, about as wide as a Champagne bottle. This will fit comfortably in most refrigerator doors. The strainer basket detaches quickly and easily from the lid. This means you can use the Infusion Iced Tea Maker to make your favourite fruit infusion like zesty ginger lemonade or fresh cucumber water. And not only is it easy, your drinks will look more instagramable than ever. The cap is made from our premium quality food safe silicone, Istoflec. It is completely safe for you and your family, as well as being dishwasher safe and BPA free.